Yep, you guessed it. I remembered another crazy theory of mine, though this one draws heavily from personal experiences to try and justify it. To explain it simply, there are multiple Gods, and every couple years or so they choose a champion among the human race to act as their champion. As the Gods guide their champions as they grow up, forming a sort of bond that shares the God's powers with the champion. After a set period of time, the Gods have their champions battle, and whomever's champion is left standing at the end wins. To them, it's just a friendly competition, though the victory conditions are still somewhat unclear to me. Now, to get a little more in depth. There are a plethora of Gods, and I can only name a handful certainly. Anyone with more religious knowledge could probably do a better job at figuring out just how many there are, but the three I know of are God (for obvious reasons), Satan (again, obvious), and my God, Fate. Before you say anything you'll regret, let me explain a couple more things. The reason that I say God and Satan are obvious is because God was actually winner of the last game, and Jesus was his champion. Gods, like everyone, have rivalries, and God's rival is Satan. They're the two biggest competitors, each able to make close bonds with their champions. Now, in order to explain how I know Fate is also one of the Gods, I need to tell some personal examples. If you don't care, that's fine, I'll just leave each example in a separate spoiler for you to find. My life in general: School: Anyway, the big thing that shines for me as a sign of Fate's influence is when I managed to get into college without applying. I didn't really bother applying for any colleges thanks to my procrastination, but I'd been accepted by a local community college because they were doing on-the-spot acceptance at my High School during my Junior year. My parents also told me about a fund that had been put away for me when I was a baby so I could go to college. Thanks to that, I was able to go to college without taking out any loans or incurring any kind of debt. I only went there for one semester, but there's a bigger reason for that later. Love and Marriage: So, I met my soon-to-be wife while I was taking my semester of college. She was a Senior in highschool, and the class was Intro to Operating Systems and PC Repair. We both sat near the back of class, and we got along, but being my introverted self I thought any and every girl I was ever interested in already had a boyfriend. Well, about a month or two into the class, she asks me if I want to go to the mall and have a study date with her while her Mom does some shopping. I agreed, and brought snacks along just in case. Again, I didn't think too much of it, being a introvert. It wasn't until about a week later when she texted me asking if I wanted to go on a double date with her, her sister, and her sister's boyfriend. Of course I agreed, and that's when we officially started dating. I was only in college for that one semester, but if I hadn't been I wouldn't have met my beautiful fiance. Powers Anyway, through these moments, how everything just seemed to kind of line up for me, I believe that Fate is guiding me. During one night, while I was lying in bed alone with my thoughts, I started thinking about this theory, about how there are different champions and everything. History is written by the victors, too, so other champions could've easily been forgotten. I dunno, I just feel like there's another side to life that we haven't discovered yet, that there's something more that what we've come to perceive. I guess that's what all of these crazy theories are for, anyway. An outlet for my desire for life to be something more than it currently seems to be. Ah well. I still have fun making them! Crazy Log, out! After the multiple attacks in Equestria, Nightmare moon, parasprite swarm, Discord, changelings, Sombra... some of the high ranking pony officials decided on a hard choice. Princess Celestia and Luna were removed from their throne. The officials believed they wouldnt be able to keep Equestria in order or safe. They feared anybody linked with the twin sisters would be the same, so they had some one else in the throne. His name was Welington, he promised to keep order and have Equestria be safe. He lied, he became so filled with power. He became a dictator. Equestrias people weren't doing so well. the economy was beginning to fall on the lower classes (middle and poor). The citizens had enough, it was time to go back the way it was. it was time for celestia to reclaim her crown. it was time, for a REVOLUTION. We enter this story with a squadron of civilized soldiers begin to scavenge for weapons, to stock an armory, since the discovery of gunpowder, rifles and cannons were made. the citizens armory was busy being filled. inside people were scavenging swords and rifles and few cannons. this is where our roleplay will begin. this is the start of the revolution. Long ago,The Crystal Empire was ruled by Princess Amora,(me), princess of protective love (think mama bear). Everything was peaceful,until Sombra attacked. Now The Crystal Empire is under siege. Greetings ponies! This is an interest check to see if anyone would be interested in traditional style 1-on-1 pony battle role plays. By "traditional", I mean that each pony will have a mini profile of their abilities and spells/attacks. During the 1-on-1 battle, the outcome of each attack is determined using logic and random numbers, which the Game Master keeps track of. Each pony will have a basic ability profile, which would work like this: *Each of 5 abilities will have a number, 1 to 10, with 1 being that ability is very weak and 10 is the ability is very strong *The total of all 5 ability numbers when added up shall not exceed 30, unless consent by both RPers is agreed on for a higher or lower total. *The abilities will be as follows: > Speed and Agility - On the offensive side, the higher the number, the less likely it is for your attack to miss the other pony. On the defensive end, the higher the number, the more likely it is for the other pony's attack to miss your pony. 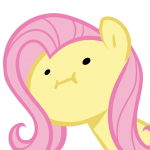 > Strength - On the offensive end, The higher the number, the more damage is possible with your pony's attacks. On the defensive end, the higher the number, the less chance your pony has of taking heavy damage. > Immunity - The higher the number, the less chance there is of a manipulation spell (such as sickness) from the other pony working on your pony. > Health - The higher the number, the higher the life cap is for your pony (your pony can handle more damage). > Energy - The higher the number, the quicker your energy points regenerate each turn, allowing you to more quickly cast more advanced spells and attacks. *Each pony will have a max of 5 different spells and attacks (combined) that he/she can use in battle (excluding the "mystery amulet"). They will each also have a max of 3 different potions they can use on themselves. Attacks almost solely do nothing more than damage to the other pony. However they require less energy points than spells. Spells however can do many things, such as damage, reduction in speed / strength / immunity / energy / etc., manipulation, and so on. However they require more energy points than attacks typically. > Players are allowed to choose what attacks, spells, and potions they will have for their pony. However, the amount of energy points required for the attack / spell, and the number of times each potion can be used, is determined by the game master with the agreement of the player. > The more damage an attack or spell is capable of, the more energy points it requires. *There will be a "mystery amulet" that both ponies can use during battle. Basically, it's an extra spell/attack available for use to both ponies. The spell/attack is determined by the game master and is announced before battle begins. *Unicorns can use their horn for spells. However if a pegasus or Earth Pony wishes to cast spells, he/she must use an amulet, which can be snatched away by the other pony via. the use of a specific attack. Tell me what you think and if you have any suggestions. If this has interest, I may begin a one-on-one in the FFA for two ponies who sign up. I may do more in the future.